Modupeola Fadugba will present her ongoing series Synchronised Swimmers, which depicts an abstract underwater world filled with dynamic, moving bodies weaving stories about teamwork, friendship, and unity. During her ISCP residency, she has found inspiration in the The Harlem Honeys and Bears – a synchronized swimming team for senior citizens who perform water acrobatics and also offer free swim lessons to children. 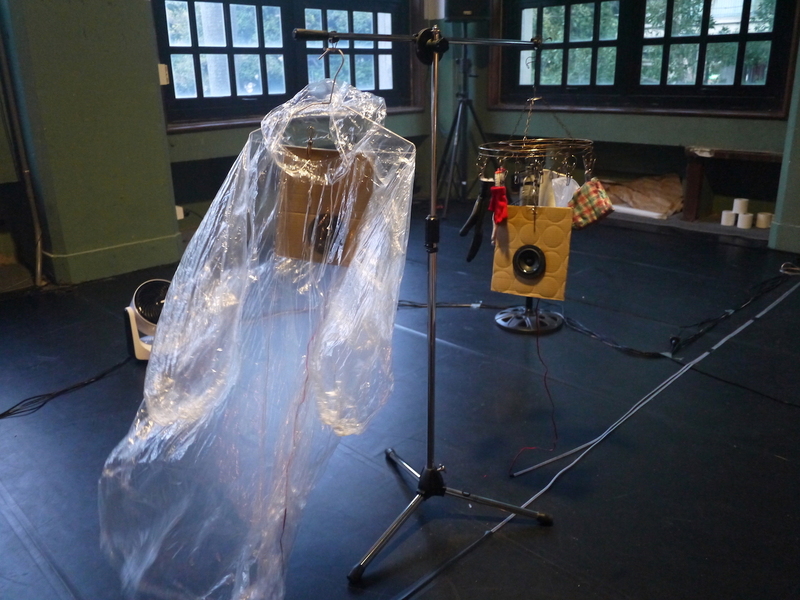 Yen-Ting Hsu will share how she uses sounds to explore the connection between everyday life, environment and ethnic cultures, using field recordings as her primary material. Hsu will also speak about her work with local communities in relation to interdisciplinary practice. This program is supported, in part, by Dennis Elliott Founder’s Fund; Ministry of Culture, Taiwan; New York City Department of Cultural Affairs, in partnership with the City Council; New York State Council on the Arts with the support of Governor Andrew M. Cuomo and the New York State Legislature; and Tauck Ritzau Innovative Philanthropy. 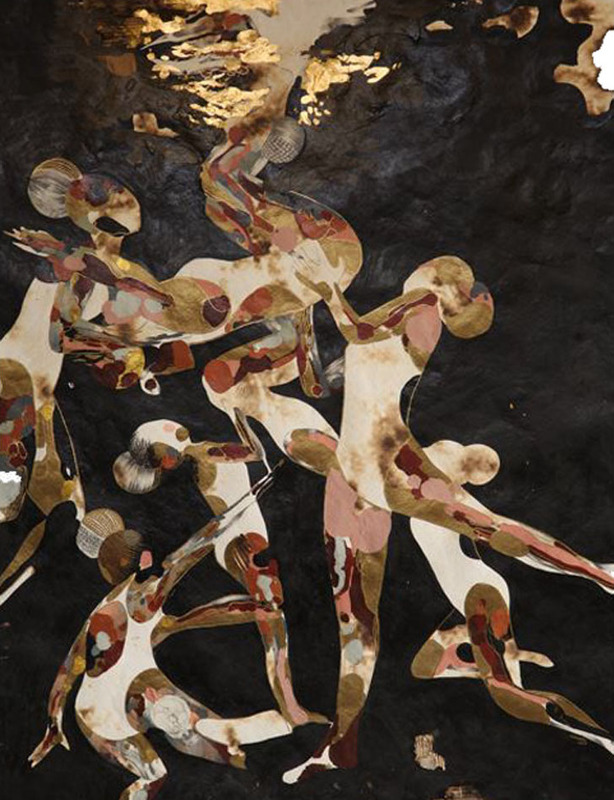 Modupeola Fadugba, Synchronised Swimmers: Black See III, 2018, acrylic, pencil, ink and gold leaf on burned paper, 66 × 51 in. (167.64 × 129.54 cm). Yen-Ting Hsu, Tai, work in progress, 2017. Songshan Cultural Park, Taipei, Taiwan. On July 17, curator Imara Limon will speak about recent curatorial projects at the Amsterdam Museum at ICI Curatorial Hub, located at 401 Broadway, Suite 1620, in Manhattan. The Amsterdam Museum is a city museum, and considers its mission to make the story of Amsterdam accessible and to present it to as broad an audience as possible. 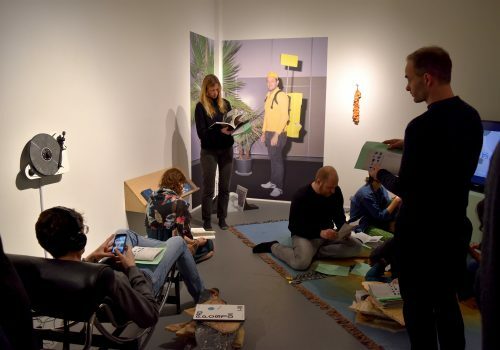 In a Dutch context, with an increasingly multicultural population, museums are only beginning to self-identify as white institutions rather than universal places of knowledge. Younger citizens are interested in more interactive, critical and challenging programs. Priorities are shifting and the emphasis shifts to drawing in new, more diverse audiences. But can the underlying mechanisms that frame our shared cultural heritage be fundamentally changed? By whom? And what would that fundamental shift entail for the cultural practices of collecting objects, exhibition making, and organizing public programs? The Amsterdam Museum is currently working on several projects in dialogue with audiences and Amsterdammers, to find out how to continue being relevant to them. Imara Limon will speak about a few examples with which she is involved. Black Amsterdam, 2016 opened during the first Black Achievement Month in the Netherlands, and instigated a broader conversation about race and representation. 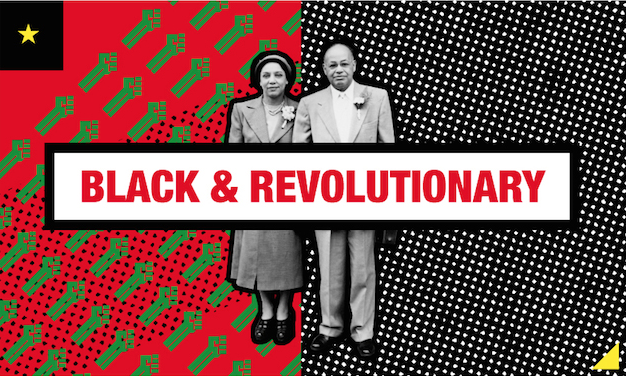 Black & Revolutionary, 2017-18 at the Surinamese Society was initiated by The Black Archives, an organization with a growing collection of archival documents around black thinkers, poets, scientists, that places Amsterdam in an international context of black radicalism. The project showed that not all stories can be told with the city’s limited collections and that collaboration with grassroots movements is crucial. New Narratives started as alternative tours through the building during Black Amsterdam by individuals outside the museum, and this evolved into a multiple-year research project toward becoming a more inclusive museum. Imara Limon (born 1988) is curator at the Amsterdam Museum, where she curated the exhibition Black Amsterdam (2016) about black role models in the Netherlands. 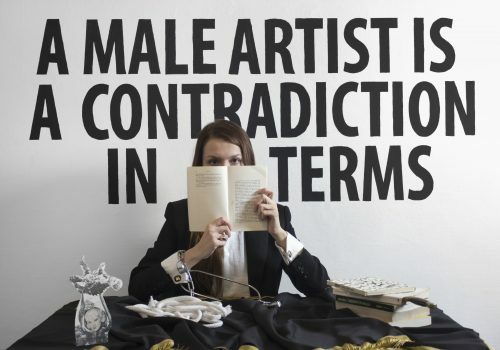 Limon has a background in Contemporary Art, Museology and Cultural Analysis at the University of Amsterdam. She curated the exhibition Black & Revolutionary, an initiative by The Black Archives, and is leading the museum program New Narratives that reconsiders the narratives told by the institution and finds alternative stories around the collections. 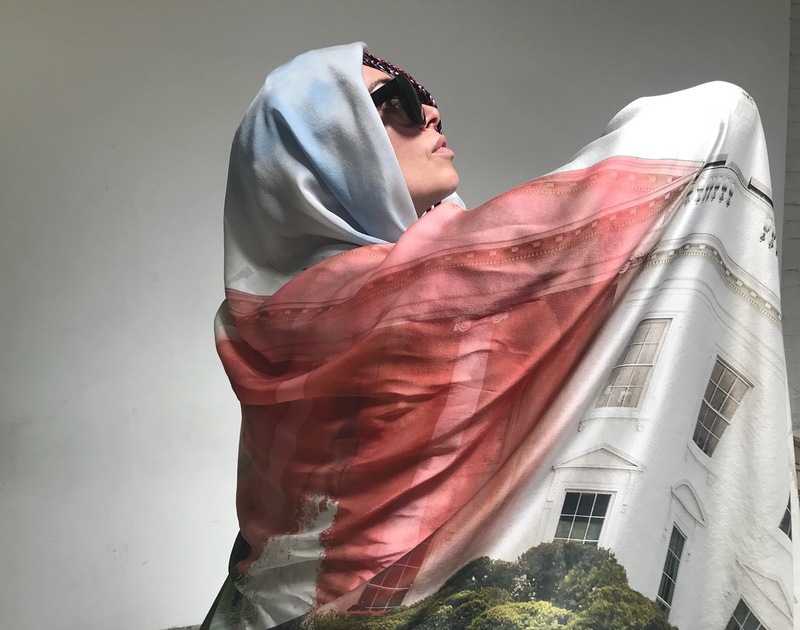 Limon was part of the New World Summit team, founded by artist Jonas Staal, and the manager of Frontier Imaginaries, founded by curator Vivian Ziherl, with international exhibitions and publications. 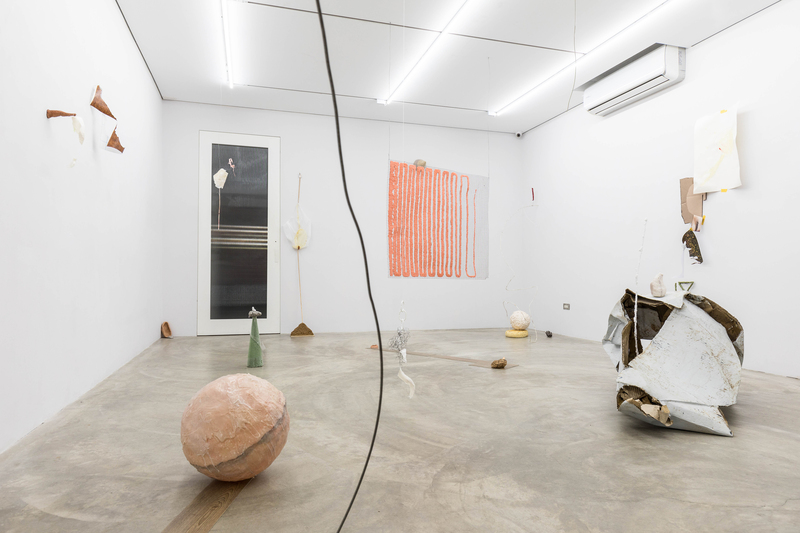 She co-curated Nieuw Amsterdams Peil, 2017, a collaborative project with curator Alessandro Vincentelli (BALTIC Centre for Contemporary Art) and six Amsterdam galleries. Limon is board member of Kunsten ’92, advisor at the Mondriaan Fund and the Amsterdam Fund for the Arts (AFK), and winner of the National Museum Talent Prize 2017. This event is a collaboration with Independent Curators International Offsite Curatorial Hub. To attend, please RSVP to rsvp@curatorsintl.org with ‘IMARA’ in the subject line. This program is also supported, in part, by Mondriaan Fund; New York City Department of Cultural Affairs, in partnership with the City Council; and New York State Council on the Arts with the support of Governor Andrew M. Cuomo and the New York State Legislature. Black & Revolutionary, 2017, The Black Archives. Design by Raul Balai. Courtesy of Imara Limon.